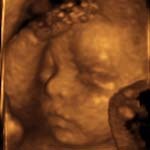 Are there any risks to my baby by having an ultrasound? 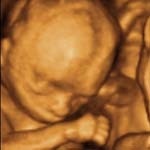 Occasionally, studies appear stating that there is a risk to the baby from ultrasound. 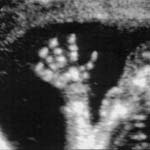 There has never been a study which has demonstrated a risk from diagnostic ultrasound performed by an operator appropriately trained in the use of ultrasound. You can be assured that all operators within our practice are fully trained and credentialled to perform diagnostic ultrasound. 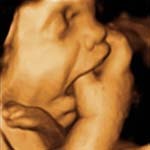 Occasionally, people ask how many ultrasounds they should have during their pregnancy. This is a difficult question to answer as it depends upon the individual circumstances. 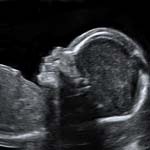 Patients who have complicated pregnancies, or twins may occasionally have ultrasounds as frequently as once every one to two weeks. 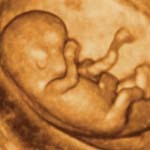 There has never been any evidence of a complication from performing diagnostic ultrasounds with this degree of frequency. 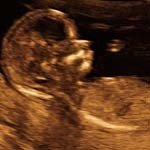 It is theoretically possible to cause problems within a fetus if an ultrasound is performed in an inappropriate manner. Again there has been no study published which has been able to show definite evidence of damage in the human population and this is a theoretical risk based on animal studies only.